Question #20: What was lost in the Fall? Explain your answer. 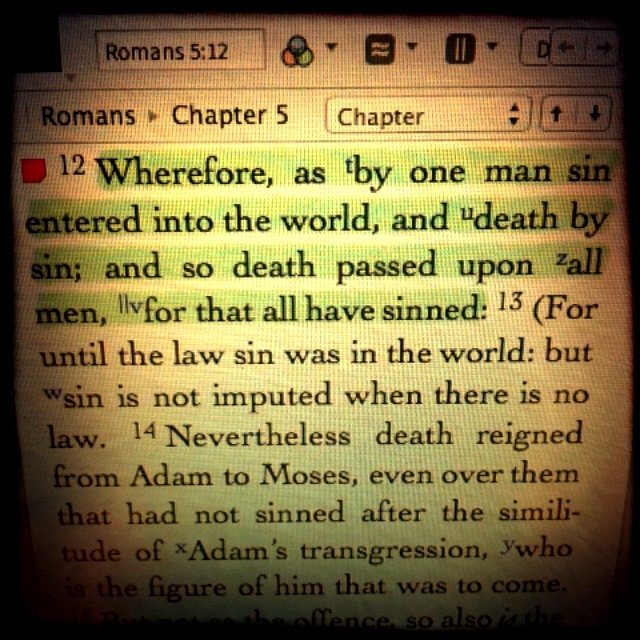 “by one man sin entered into the world, and death by sin; and so death passed upon all men” (Rom 5:12). Answer: Immediately, they lost a good fellowship with God. They made aprons of leaves and hid themselves. Their good fellowship with God came to an abrupt end. Theologically, they died spiritually. Romans 5:12 informs us that, “Wherefore, as by one man sin entered into the world, and death by sin; and so death passed upon all men, for that all have sinned.” However, their likeness to God or their image of God, though now totally marred, is still retained. In order for Adam and Even to stand once again before the presence of God, they had to be clothed with an innocent lamb’s skin. In order to do this, the innocent lamb had to die. This perhaps is the first physical death the Adam and Even experienced to see. The next recorded death is that of Abel in the hands of his older brother Cain. It is implicit that many more sheep died between the two events because they had to have change of clothes and they had to have instituted a sacrifice offering with which Abel learned how to do it himself later. Additionally, they also lost the blessing of the tree of life whereas they were evicted from the garden from that point on after the judgment that God passed onto them.